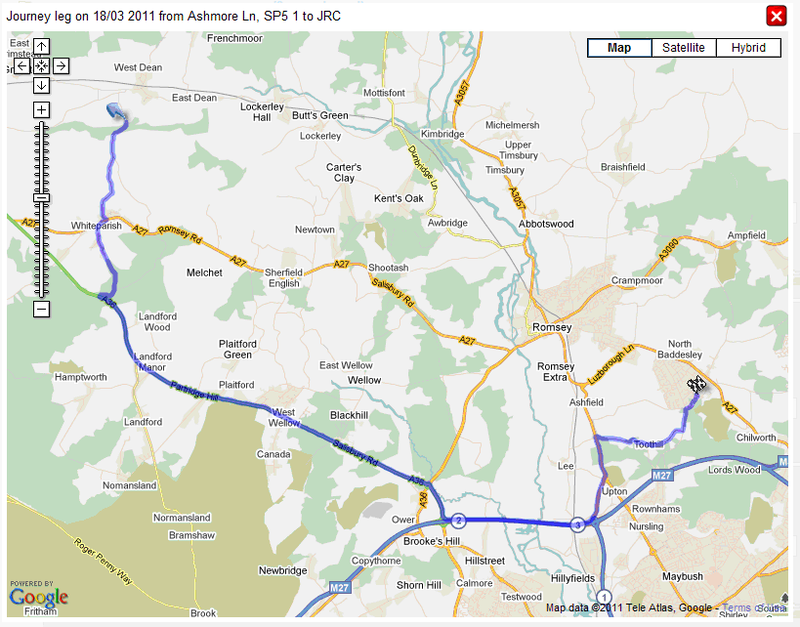 Show your tracks on a map so you can see the route you've taken and places visited to confirm your routine for the day. By using actual maps you can easily verify locations visited and add places to the map using your own names and types of place. By building up a library of frequently visited places you will be able to produce reports that are easy to read and filter by place, place type and other parameters. There's nothing like visualising the route you've taken on a day to helping discover better ways of planning you're day. My route below was taken under sat nav guidance, but there was clearly a better and quicker route!